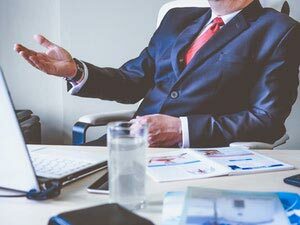 No matter what industry you're in, if you're trying to take your business global, chances are you're going to find that you need an interpreter to help facilitate communication between you and a foreign investor, a business partner or marketing agency across the globe, or any number of other situations. And countless other fields and industries. Don't see yours listed above? Get in touch with us and we're sure we can connect you with someone who knows the "right stuff" for your business! Whether you represent a multinational corporation who's worked with interpreters before, or you're a relatively small business looking for information for your first opportunity with business interpreting, Tranlation Services USA can help find the right people for your job. And either way, you probably have questions. Just contact us now and one of our representatives will be in touch with you as soon as possible.